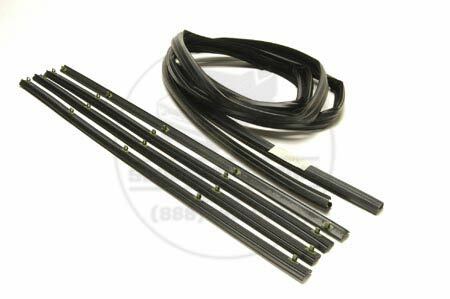 Rear door window seal kitsTravelall model engine(s). 2 front,top & rear window guides. This kit supplies window seals for both rear doors of a Travelall 1969-75. Easy to install and snaps into place.